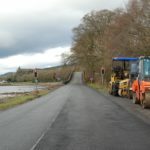 Argyll’s major trunk road is set to be shut for up to four hours while a heavy crane is removed from a ditch near Furnace. 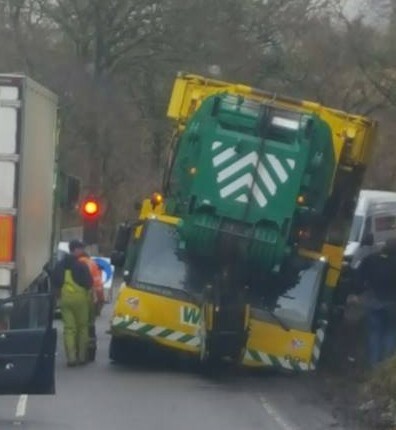 The 80 tonne crane became stuck in a drainage ditch beside the north (Inveraray) bound carriageway of the A83 at around 2pm on Thursday February 1. After failed attempts to recover the crane the previous day, arrangements have been made to remove the vehicle from the carriageway starting at 8pm on Friday February 4. 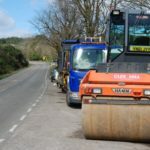 BEAR Scotland confirmed that the A83 will be closed to through traffic between Lochgilphead and Inveraray for up to four hours for the recovery operation, and a signed diversion will be in place for the duration. 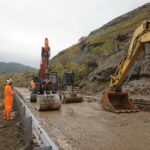 The official diversion involves a 66-mile detour from Lochgilphead via the A816 to Oban, then the A85 via Lochawe to join the A819 to Inveraray. Follow the same route in reverse to travel south.